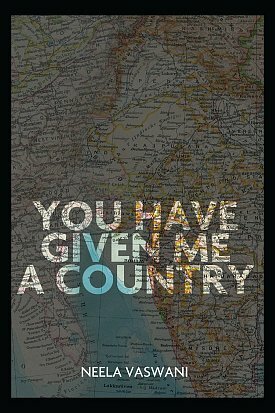 You Have Given Me A Country is a mixed-genre exploration of blurred borders, identity, and what it means to be bicultural. Combining memoir, history, and fiction, the book follows the paths of the author’s Irish-Catholic mother and Sindhi-Indian father on their journey towards each other and the biracial child they create. Vaswani’s second full-length work thematically echoes such books as The Color of Water, Running in the Family, or Motiba’s Tattoos, but is entirely unique in approach, voice, and story, The book reveals the self as a culmination of all that went before it, a new weave of two varied, yet ultimately universal backgrounds that spans continents, generations, languages, wars, and, at the center of it all, family.